Welcome to Hillrose Pet Resort! We can't wait to meet you and your furry family members! Your dogs, cats and other pets will love visiting us. Take a moment and learn more about our services and then call or book your reservation online. We're the #1 choice for boarding, grooming and daycare in the SeaTac area. Here's why! Our beautiful pet boarding facility in SeaTac, Washington is located just south of Seattle and minutes north of SeaTac Airport near the Intersections of I5, I405 and highway 518. 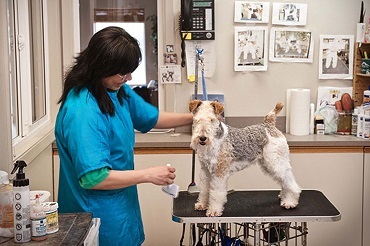 We provide pet boarding, day care, and grooming services at competitive rates. From most breeds of dogs and cats to exotic pets, we've got you covered. 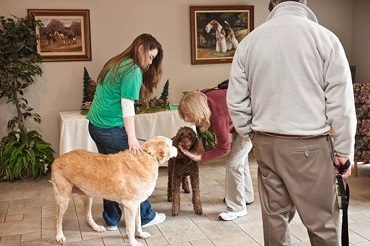 When you enter our facility for the first-time, friendly staff will meet with you and note each pet’s specific needs and preferences so that we can extend that same loving care you desire for each pet. We offer three sizes of dog enclosures (small, medium and large), multiple cattery options and executive suites that can accommodate cats and dogs together or provide a single pet that extra home-style comfort they need. Each dog enclosure has a private, indoor, climate-controlled sleeping area. Each dog kennel is connected by a doggy door to a private fully covered exercise area. All areas are cleaned a minimum of 3 times daily. We monitor your pet’s boarding areas 24 hours per day 7 days per week using state of the art surveillance cameras to record all activities. Each pet’s intake, elimination, weight and attitude are constantly monitored to ensure a happy, healthy stay. 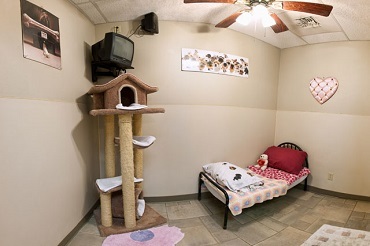 Hillrose Pet Resort is a special place where your pet is our number one priority. We have boarded animals other than cats and dogs such as ferrets, chinchillas, rabbits, chickens (customer is responsible for providing a cage), snakes, geckos, beta fish, Amazon Grays, parakeets, you name it. You supply the cage and food, we take care of the rest. Get to know us on social! Are you on Facebook or Twitter? So are we! Follow us to stay up-to-date on our special promotions and all the fun happening at Hillrose Pet Resort. a lodestar marketing group production.